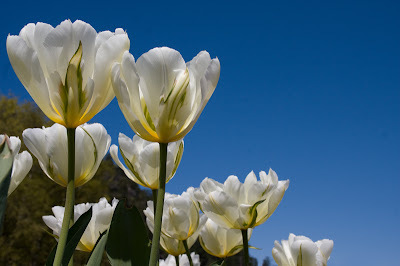 Peggy Collins Photography: Flower Photos ~ Time for Some Spring Color! 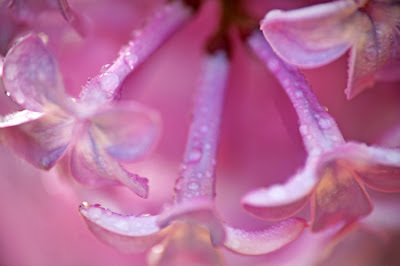 Lately I've been in the mood to work on flower photos, mostly because we've had very stormy weather around here. In particular this past week we had some amazing wind storms and ended up with a good-sized tree coming down over the power lines that lead to our neighbour's house. The tree snapped through his phone line and was cradled by the power lines and a dogwood tree next to our house. Lucky us that it didn't crash through our roof! A man went up in a cherry picker to attach an enormous cable to the tree and it was airlifted up, up, and away. Just in time for the next big storm that was coming through! We also got a light dusting of snow on the pot of daffodils that just started blooming by our place. So all this crazy weather put me in the mood to work on some flower pictures. I like photographs of flowers straight out of the camera but I also enjoy adding floral designs or "textures" to my flower pictures. ﻿Here's another version of the same picture after I added a damask swirl pattern in Photoshop and changed the hue and saturation slightly. Or maybe you like your flower photos a little more natural... 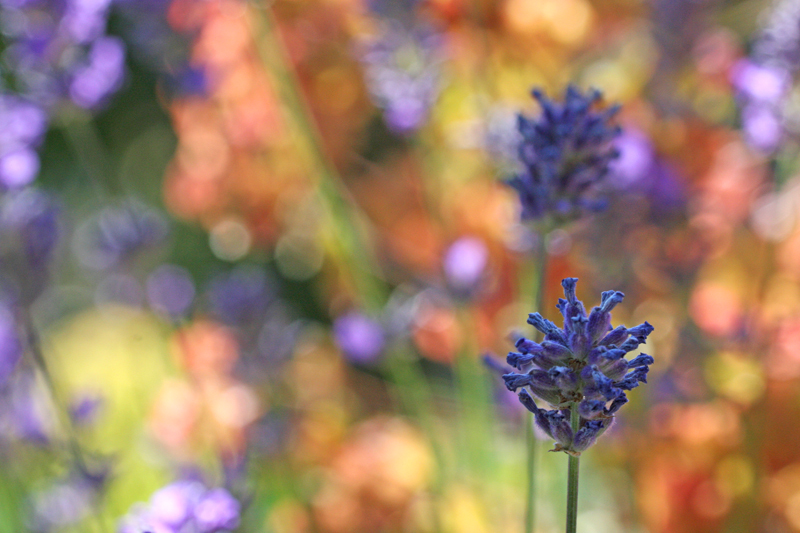 In my next picture I left the lavender garden as it was, with some colorful orange flowers blurred in the background. By the way, this out-of-focus area is called "bokeh" in photography and is achieved by leaving your camera lens open to its widest aperture...by doing this, you get a pleasing blur which can be especially effective if the background is wet or lit by bright sunlight. 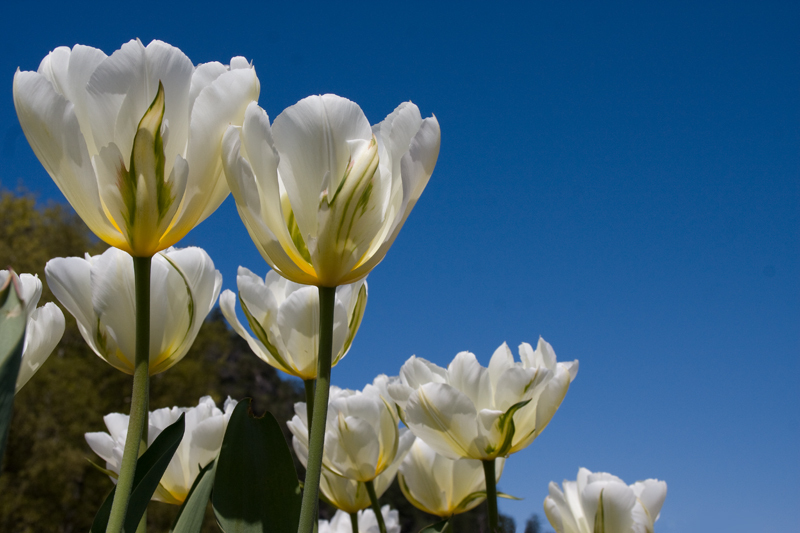 And what would springtime be without tulips? 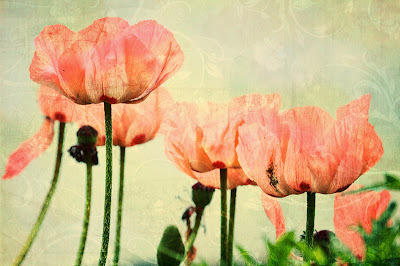 They're one of my favorite flowers to photograph. For my tulip picture I added the same damask pattern as above but also did some other adjustments in Photoshop﻿, such as adding another texture and messing around with the saturation levels. I also added a vignette effect. 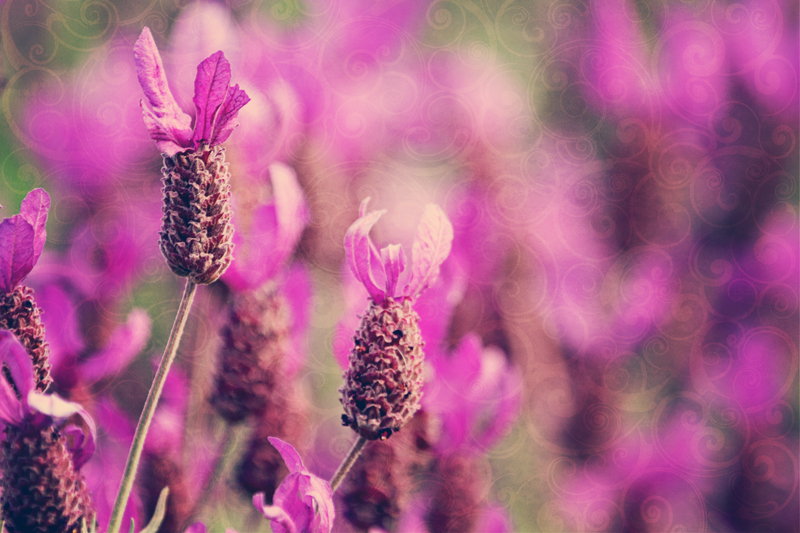 Labels: "flower photos" "flower pictures" "floral photography" tulips "white flowers" "poppy pictures" "poppy photos" "lilac pictures" "lilac photos" "lavender pictures" "lavender photos"
There are so many colors in this post. Great to see that! Thanks so much for your comment! You know, I could've gone on and on with this post but will save some for another time. ;~) It might have to wait a little though...right now it's snowing!